If you are one of the lucky ones who has already got their hands on the new Oculus Rift CV1 virtual reality headset hardware, but find it a little tricky to use because you need to remove your glasses. 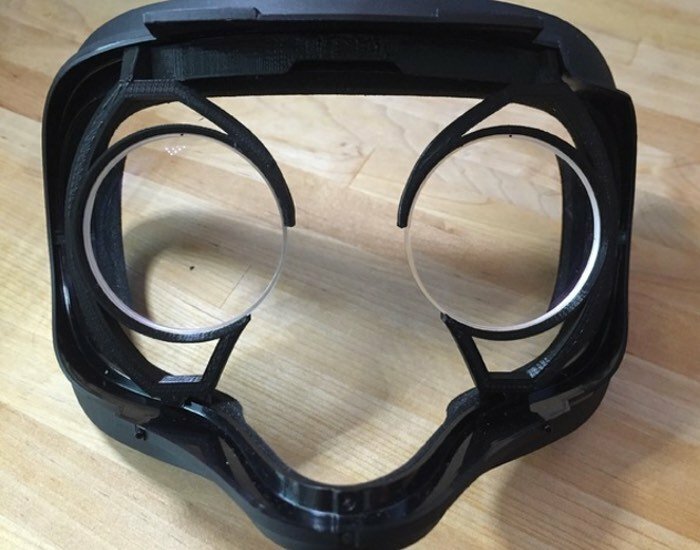 Maybe interested in a new Oculus Rift CV1 prescription lens adapter which has been created by Thingiverse member Jegstad, and has now been made available to download and print on a 3D printer if you have access to one. This adapter is designed to take 42 mm diameter round lenses, such as the ones that come with Zenni optical frame #450021. The adapter spacing matches that frames spacing as close as I could get it. I have a medium-strong prescription and clearance between my prescription lenses and the rift lens is somewhere around 1.5 mm. I’m not sure if would be clearance issues with stronger prescriptions. This adapter is the result of a couple weeks of design and tweaking to get it working for my face, and it’s also my first fully realized 3d design and 3d printing project, so I make no guarantee this adapter will work for anyone but me! Before you remove the lenses from the original frame, make orientation marks with a sharpie or something on the edge so you know which way is up. My understanding of how lenses are ground for your specific prescription/IPD makes me think it’s important to retain the lens orientation, and there are no other orientation marks on my lenses that I can see. 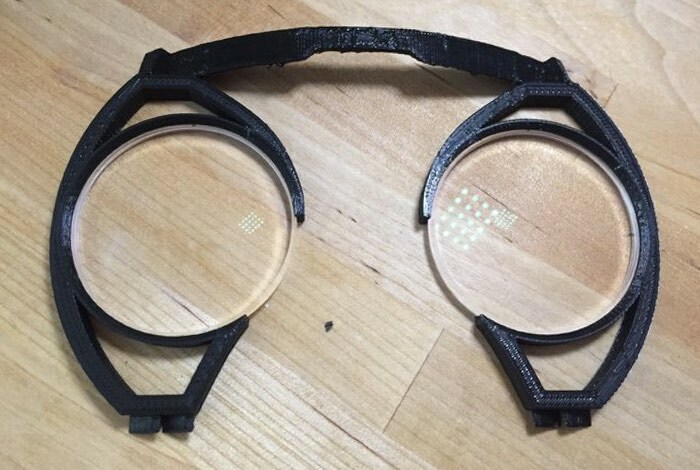 The lenses should fit loosely into the groove in the inner rim of the adapter, and become tighter once the adapter is fitted onto the facial interface. There are tabs at the bottom of the adapter that should straddle the plastic rim at the bottom of the facial interface. The top curved part should be oriented so its sitting flush against the indentation on the facial interface that gives clearance for the cord.Once the adapter with lenses is fit in the facial interface, re-attach the assembly to the rift by pushing in the flat tab at the top, then gently fit the bottom tabs into place. Jump over to the Thingiverse website for the 3D printing file and more information via the link below.